Wow! November was a busy month for me and here we are moving towards the end of December and I still haven’t finished my monthly business/income report. This past month, I was really focused on starting an ecommerce site for our paddleboard and surf business and it took a lot of time away from The Surfer’s Kitchen. Now that the site is up and running, I have more time to really focus on recipes and my other pursuits. 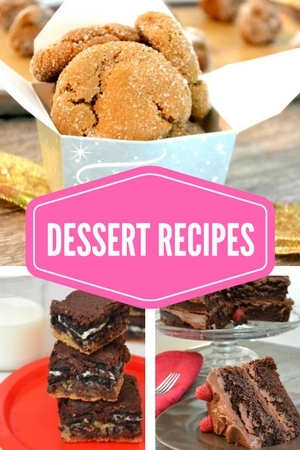 I did post eight recipes this month…under my goal of three per week. I am really trying to stick to this for December and moving forward but when I look at my posts for this month, I realize I am behind here too. I do have lots of recipes tested and photographed, I just need to get them out. I cooked a lot this month and photographed a bunch of recipes for a cookbook that I am working on. My plan was to have the cookbook ready for Christmas but that isn’t going to happen. I think a more realistic goal is to have it done in time for my birthday in April. I am working on a cookbook of family recipes and an ebook to give away with newsletter subscriptions. 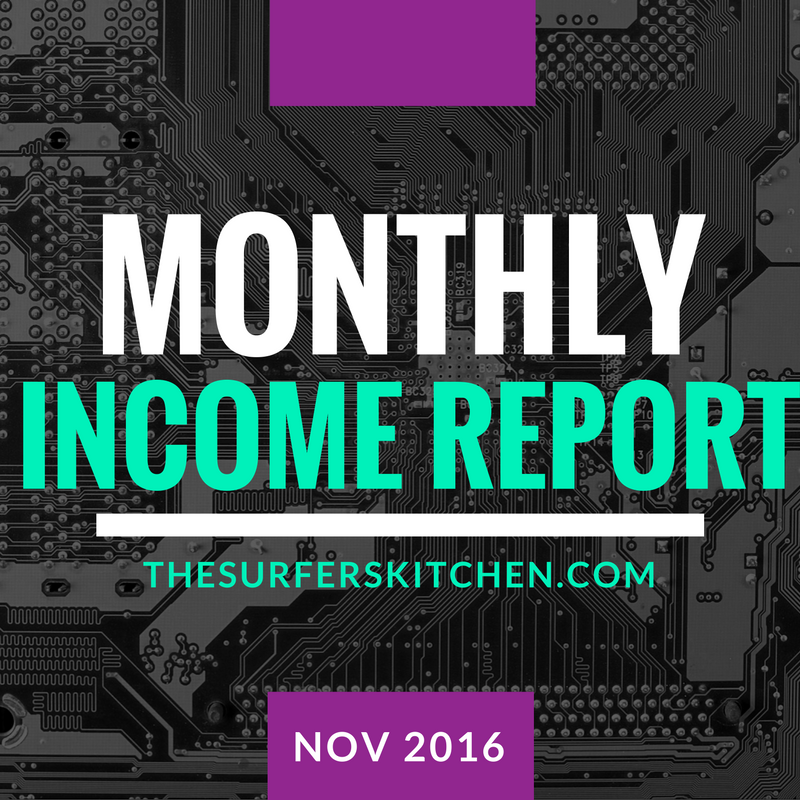 If you take a look at my October monthly report, you will see I had a few goals to reach this month, specifically to get a couple of photos accepted to Foodgawker and Tastespotting. I have submitted those same photos to Tastespotting and have still not heard back–I’ve been reading that they have gotten very slow about accepting photos. Not sure what is going on there but hoping they keep the site going! Since I commute so far to my office, I have been using the time to listen to podcasts and I have really been loving the Food Blogger Pro podcast. It is free for everyone, even if you aren’t a member of Food Blogger Pro and like I mentioned before, even though the tips and tricks are geared toward food bloggers, they really do apply to almost any online (or offline) business. One of my favorites was episode #29, which was just Lindsay and Bjork talking about the history of the Pinch of Yum. It was SO comforting to hear that in the early days of their blog, they really had daily page views in the tens..not the ten thousands, but the tens. I find that piece of information very encouraging when I have a day of particularly low page views. We all start somewhere and the key is just to keep going. This is less than November 2015 (by a whole dollar!). Last years numbers are based on my old site (Forty Cakes) which I worked on for seven years and never really knew what I was doing with it. Even though the numbers are lower this year, it is a lot better than where I was when I first started monetizing on Forty Cakes. In the two months that I have been working on The Surfer’s Kitchen, I am close to where I was in seven years of my other site. DOUBLE LAST MONTHS INCOME (if you don’t count the website development piece). I got three photos accepted to Foodgawker and Tastespotting! I finally shared my blog with my family and friends! For some reason, I was having a hard time doing this and I was just keeping it to myself. I got some great feedback once I shared it. I really believe that people can be a huge help in holding your dream for you and helping you along. You just have to let them know that you have the dream and are willing to work toward it and they will help you get there. Getting a lot more comfortable with my camera and taking photos that I am proud of. Especially, this one. Pinterest! I need to spend more time on this and actually do enjoy it. This is something I plan to really build on this month. Affiliate Income: I realized this month that my Amazon affiliate link was not working and therefore not sending any affiliate income my way. I’d like to work on this aspect of my website because it seems an easy way to build income and share the products I love. Logo: I am hating the little design I came up with but haven’t had time to work with a designer for a new one. Plus, right now developing content seems like where I should be spending my time. I don’t like the recipe plug in I am using. AT ALL. I may try to switch to the one that Pinch of Yum is developing or I may look for a new one. The problem is that the new recipe plug-ins don’t always translate over to the older recipes. I really don’t want to have to go back and fix everything. I am bummed that I wasn’t able to stick to my three posts per week. I am working hard to ensure that I can do this in December. There is so much to do! There is so much to learn! There is so much to know! I keep telling myself to just move forward with baby steps and do just a little bit everyday. I have to remind myself not to feel down because I am not where other people are in their blog development. This is hard to do! Have a great rest of your month! I’ll be back in January with December’s report.